Home > Clinicians > Diagnosis Gallery > Soft Shelled Tick of Ornithodoros spp. Soft Shelled Tick of Ornithodoros spp. A 75 year old man returned from Brazil with two arthropods attached to his abdomen. The intact arthropods were submitted for identification. 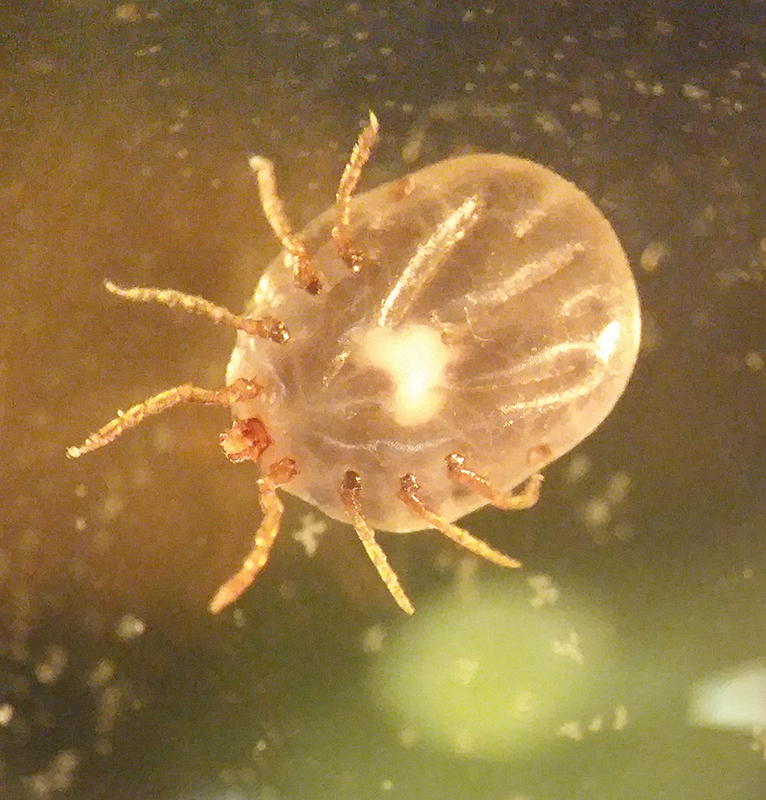 The microscopic examination with consultation from our microbiology department identified the organisms as two adult, engorged soft shelled ticks most consistent with Ornithodoros spp. 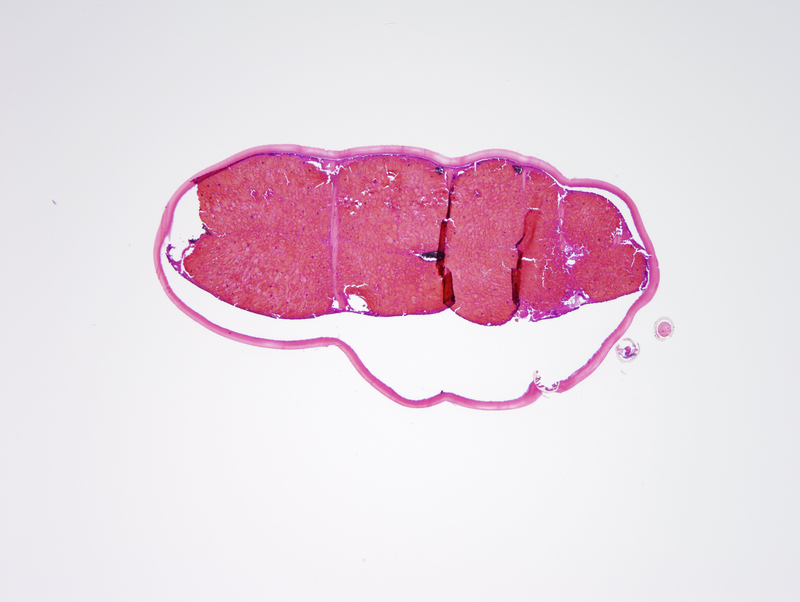 Staining for spirochetes was negative. In the last published valid Argasidae list of the world, Horak et al (2002) recorded the existence of 38 tick species belonging to the Ornithodoros genus. Four species of Ornithodoros were recorded from Brazil, O. talaje, O. rostratus, O. brasiliensis and O. nattereri (Martins 2011). The adult and nymphal stages of some argasid species are morphologically very similar, especially within the genus Ornithodoros (Barros-Battesti 2013).